We were happy to have a conversation with Lee Silverstein, a stage 4 colon cancer survivor and host of the podcast, WE Have Cancer. 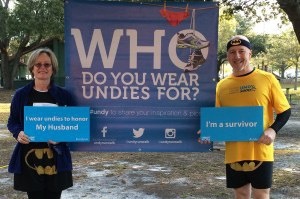 This GoFundMe has been created to benefit the organization of their choice, The Colon Cancer Coalition. 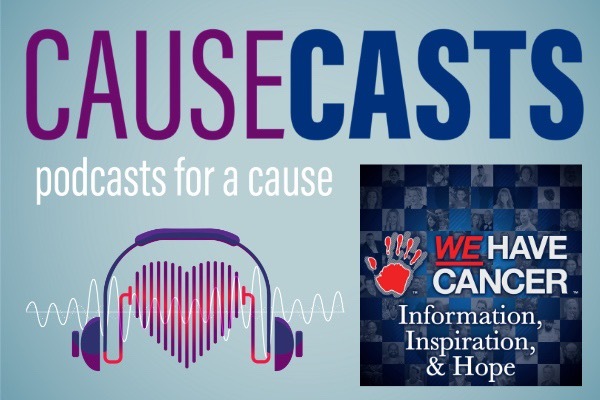 On today’s episode of Causecasts we are so happy and honored to have Lee Silverstein, host of the WE Have Cancer Podcast, as our guest. Lee created this podcast a few years ago as a way to inspire hope and connection within the community of people affected by cancer. Lee’s positive and realistic outlook has directed the tone and reach of his work, which now has a humble yet committed and engaged following, and for Lee, there is nothing that he would rather be putting his time into. During our interview, he even shares that the years since his diagnosis have been the best of his life. After being diagnosed about 6 years ago, a fateful encounter with a friend and an emerging podcast community led to a clear realization of his path, one that he has followed with passion and dedication since. Our conversation includes this origin story of how WE Have Cancer was born; as well as some meditation on what it means to host a podcast with guests whose life expectancy is generally uncertain. Lee sees his work sharing these stories as the ultimate way to honor and provide grace for both guests and listeners, and has experienced the profound effect of this process himself. Lee also explains why he sees podcasting as such a powerful medium for the message he is broadcasting. He acknowledges the direct line it provides to the human voice and how it is something he has come to cherish greatly. As you might expect with a conversation such as this, it is both hopeful and sad, beautiful yet tragic, and this bittersweet atmosphere is touching on many levels. For a truly heartfelt and deeply inspiring discussion be sure to tune in to hear what Lee has to say.